When we first started on our own in Shanghai, we had a representative office in an office building in Sichuan lu, very close to that address! Hello and thanks again for these blogs. 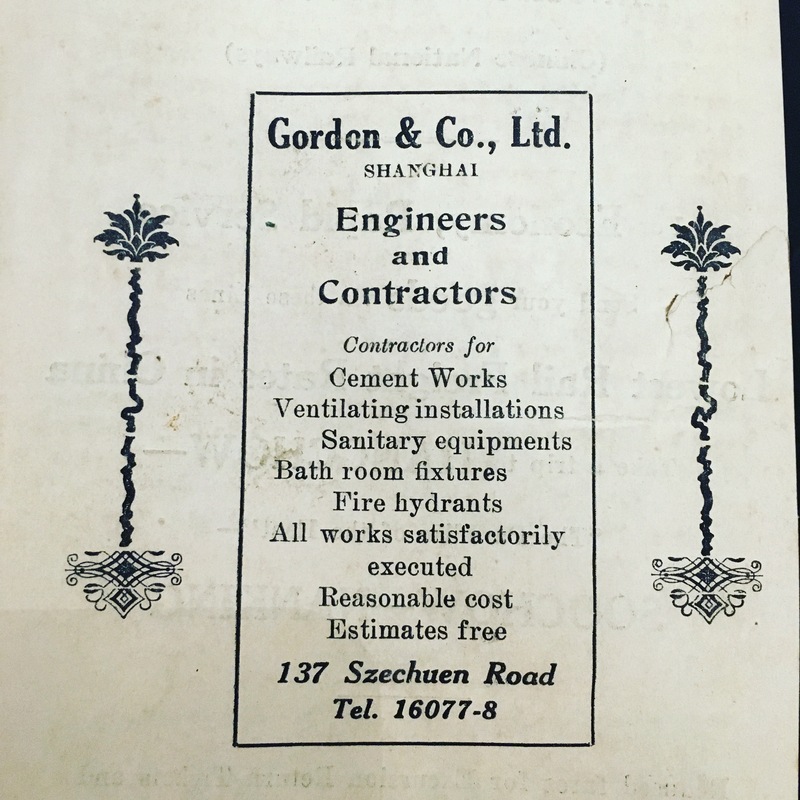 Is there anywhere I could buy Shanghai newspapers dating from 1940-1949? English, French, German? My parents met and married in Shanghai and with my mother being a part time model and my father a musician and partner in Itkiss music shop, I hope to find something about them. Always interested in your blogs – thanks! 271 Rue de Boissezon (still in existence!).. Who knows? 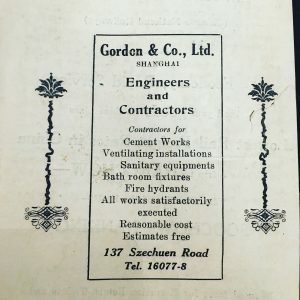 It may have been constructed by Gordon & CO.!!! What a treat to read two Shanghai blogs in one week ! Ps. I already ordered via amazon.com the book ” Shanghai Grand” cannot wait to start reading! Thanks. I have more time to write in the summer, so I make the most of it.